Microsoft and WIT are pleased to announce that access to download and run Microsoft Office products is now free for current staff and current students. This is a free service provided by Microsoft for the duration of employment or study at WIT. 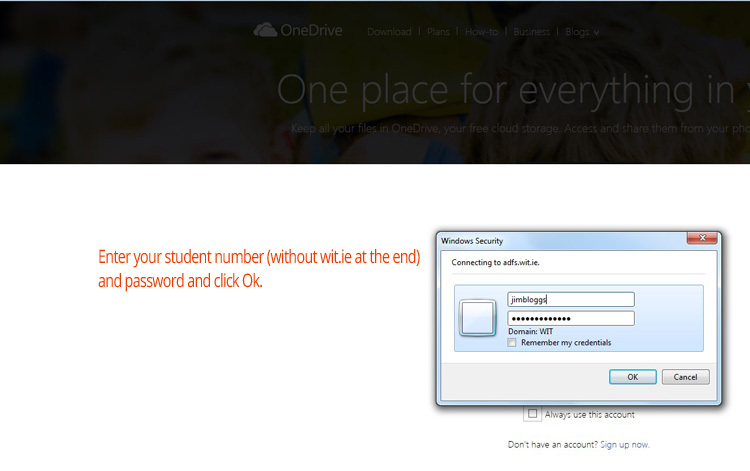 This allows for the installation of Office on up to 5 devices including PC, Mac, and Mobile Devices. 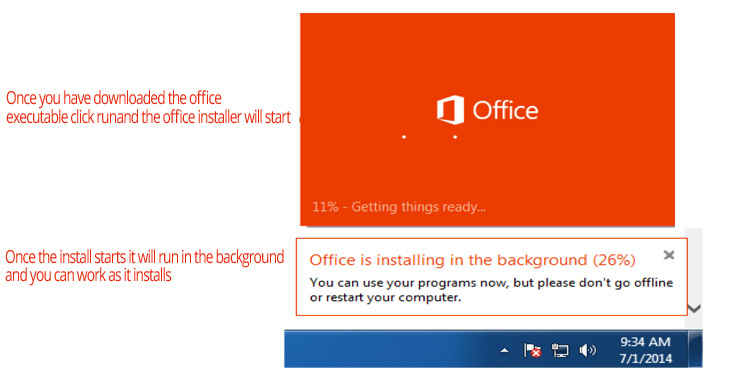 Please uninstall any trial version of Microsoft Office from your machine before installing Office ProPlus. Failure to uninstall any trial version of Microsoft Office will result in the system trying to activate the trial version, not Office ProPlus. What is included with MS Office ProPlus subscription license? 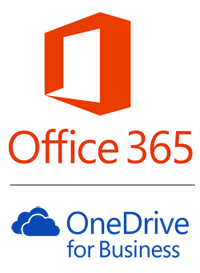 Office 365 ProPlus for Mac/iPhone/iPad – comes from the Apple App Store but still covered under your WIT account. Office 2016 due out shortly and is to be better for Macs than the current version. Office Mobile for Android - can be installed on tablets and phones that meet the following criteria: running Android KitKat 4.4 or later version and have an ARM-based or Intel x86 processor. WIT Staff and registered students can access this service. After registration please wait 24 hours before accessing the service. What happens when I leave WIT? Your MS Office subscription is valid throughout your enrolment with WIT and expires upon graduation or leaving employment. On leaving WIT you should make sure to transfer all your files from your WIT storage to your personal storage if you wish to have continued access to files created under this arrangement. 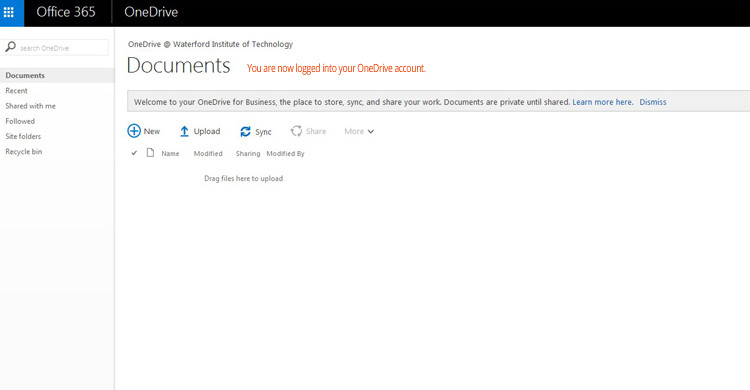 All access to your WIT OneDrive storage will be lost once you have left WIT. How many machines/devices can I run this software on? Each license allows you to run Office on up to five machines while your WIT account is still active; Mac or PC. You can also run Office Mobile for Android or Office Mobile for iPhone on up to 5 mobile devices. Is this the full version of Office and is it available for offline use? Yes, this is the full Office for PCs, Macs, iPhones and Androids meeting the required criteria and all are available for offline use. Is this supported by WIT? Access to download and run the software is a free service and is based on your membership of the WIT community, either as a member of staff or as a registered student. 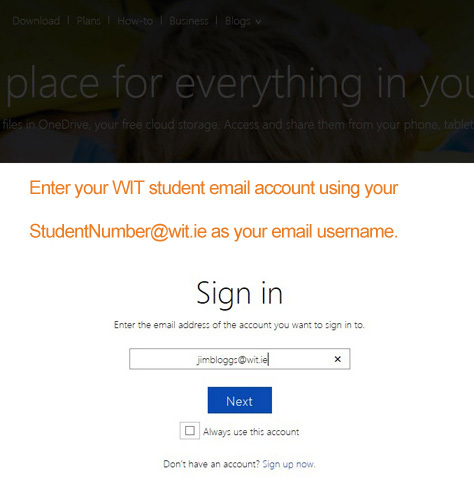 It is part of the overall Office 365 package which WIT has signed up to with Microsoft. WIT takes no responsibility for ensuring the successful download and installation of the software or the continued functionality of the product(s) or backup of any content. 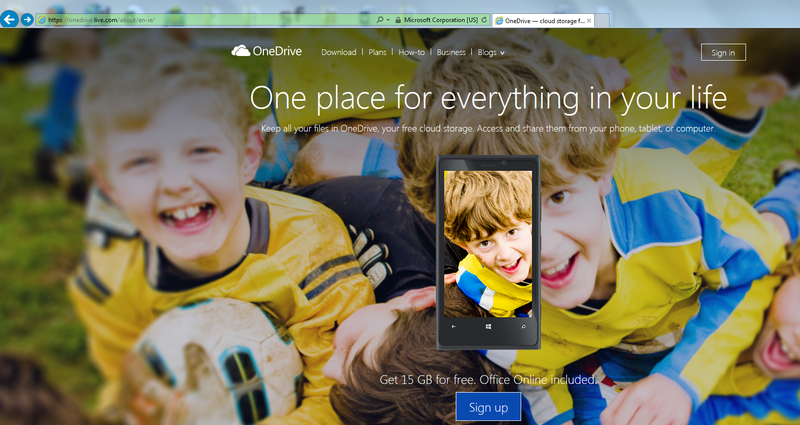 OneDrive is a Microsoft cloud storage (i.e. on the web) file hosting service that offers users a simple way to store, synch and share all kinds of files on the web which can be accessed later from another device or shared with other people.